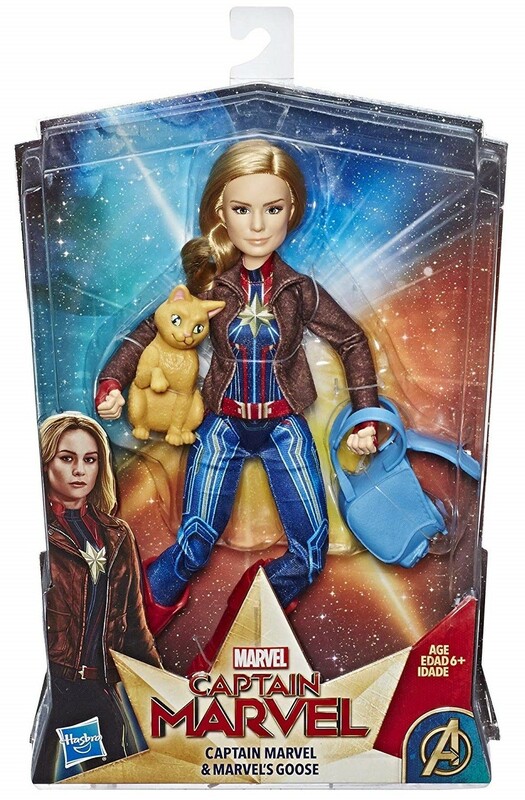 When the universe is in need of a skilled and confident leader, there is no better hero to take command than Captain Marvel! 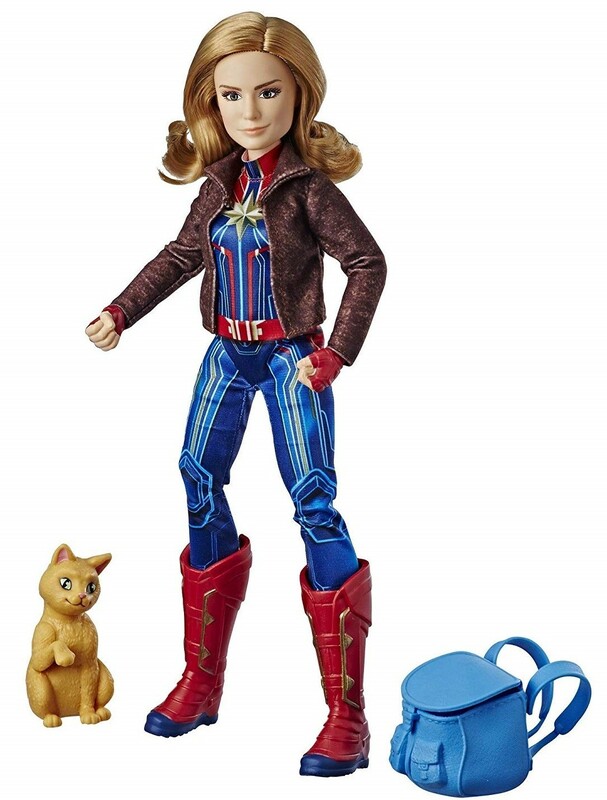 Play out Carol Danvers' adventures with this 11-inch scale Captain Marvel doll. 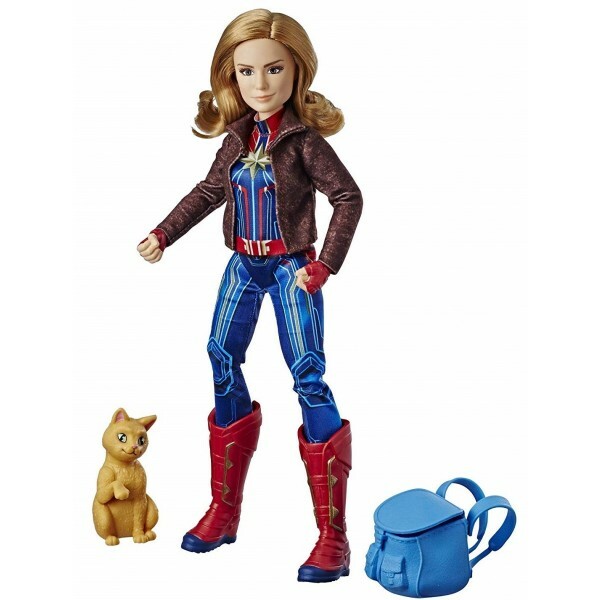 Fifteen points of articulation let kids move her however they imagine, while her uniform, jacket, and backpack provide lots of role play potential. 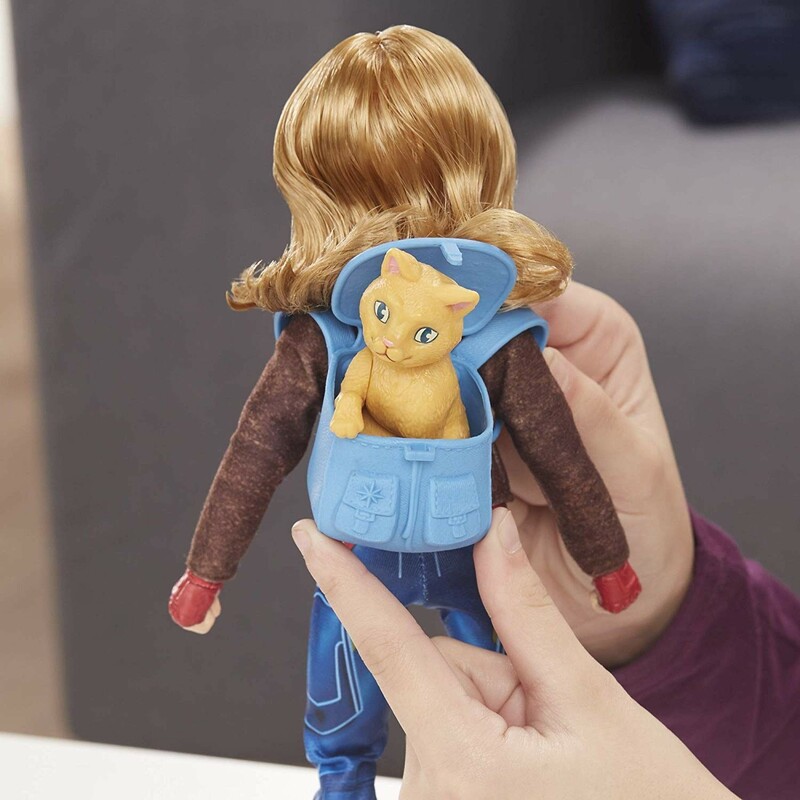 Plus, with Goose the cat by her side, she's ready to take on anything — even a pair of warring alien races!